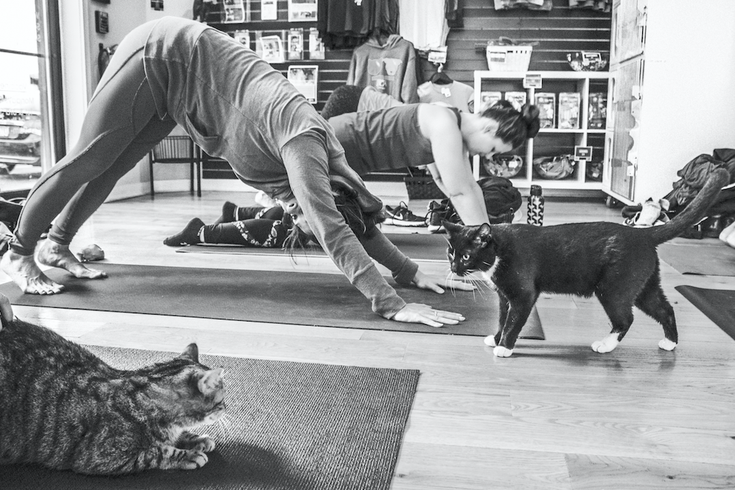 The Pennsylvania SPCA hosts yoga with cats. Another month, another chance to do yoga with cats. The Pennsylvania SPCA will once again host its popular fitness session for two-legged and four-legged friends. The class on Jan. 15 will be the fourth in the animal-friendly fitness series. Attendees will work out while adoptable cats from the shelter play around them. Elliot Polinsky, a teacher at Wake Up Yoga, will once again lead the hour session. Registration is $25, with all proceeds benefiting the PSPCA. All levels are welcome, just remember to bring a mat.